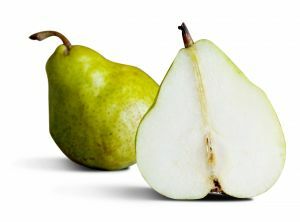 Availability: In Pakistan Pears come in different types and are available usually from September to December. 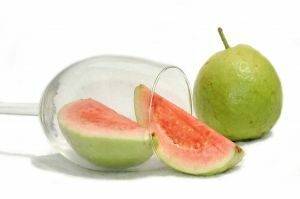 Purchase Tip: Smell and check formula applies for the Guava. It can be stored in the refrigerator for up to 10 days. Nutrition: Contains Fiber, Vitamin A, Vitamin B6 and Vitamin C.
Purchase Tip: don’t buy over ripe oranges. 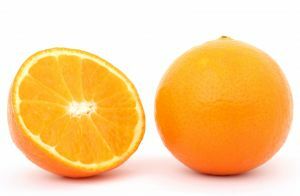 The big juicy orange with spotless skin is the best pick. They can be stored in fridge for about 15 days easily. Nutrition: Rich in Vitamin C and contains a combination of soluble and insoluble fiber along with Vitamin B1 and Folic Acid. Usage Ideas: Juice, chunks, Peel and even Zest can be used in various ways to prepare desserts, salads, hot and cold meals, juices etc. Availability: Pomegranate is available in Pakistan from October to December. Nowadays the fresh fruit can be found in market till January and after that the frozen produce is available for some time more. Purchase Tip: When you go to buy Pomegranate, pick the one which has a smooth, shiny, unbroken skin. Buying a whole fruit is better than picking the packed pieces available in the super markets. 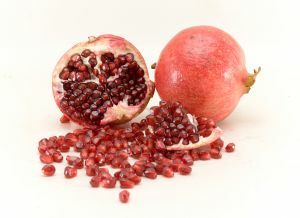 Usage Ideas: If a pomegranate is bought in a good condition can be stored easily in the refrigerator for about a month. One challenge people face with this fruit is the extraction of its seeds. An easy way to get these seeds out is to take the whole fruit and roll it with a little pressure on a wooden/hard surface so the seeds inside become loose. Now cut the pomegranate into four halves. Put one half upside down on your palm and bang the skin slowly with a spoon. You will have a handful of juicy seeds in your hand in to time. Seeds can be used for juice, sauces, salads, garnish, desserts etc. 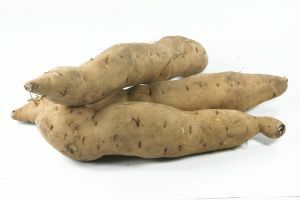 Availability: Sweet Potatoes are a winter gift and available easily in Pakistan from September to January. Purchase Tip: The Sweet potatoes are sensitive and one small decayed part can affect the whole sweet potato. Look for a clean, dry, spotless and firm piece when you go to the market to buy a sweet potato. Usage Ideas: After the skin is removed, keep the potato in cold water to avoid discoloration. You can use it in salads, desserts, snacks and sidelines. Availability: The frozen packets and canned peas are available round the year but the fresh ones can be found at the vegetable hawkers from November to February. 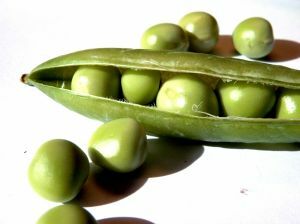 Purchase Tip: Buying peas is easy; you just need to look for the firm and green pod which give a young look. The stretchy and pale colored pots mean the peas are not fresh and have lost the tenderness. You can crack a pod to check the freshness of the medium sized bright green peas which are perfect for your cooking. 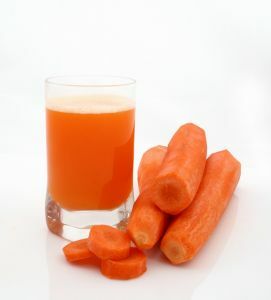 Nutrition: Main composition includes Potassium, Vitamin A, Vitamin C, magnesium and fiber. Usage Ideas: Can be used boiled, cooked or fried in Salads, Curry, Pie, Cutlets etc. You can freeze the peas in plastic bags for later use when the season is over but do not wash them before freezing. You can view the preservation techniques of Peas by Zubaida Tariq. 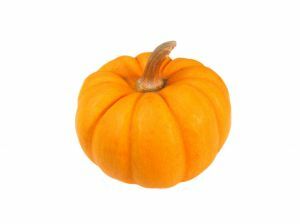 Availability: The winter harvest of Pumpkins is done in November to January. Purchase Tip: The size and texture of Carrot depends on what you want to make from it. Big and fat carrots are used for curry and sweet dish, small and young carrots are often used in salads and steamed vegies. Usage Ideas: Used in Salads, Snacks, Desserts, Soups, juices etc. You can use them raw, boiled, steamed, cooked, mashed etc.